Illustrator Vanessa Decort has created a stunning yet simple deck with her Sun And Moon Tarot. On close inspection, there is a richness and complexity that draws you in and lends new, subtle nuances to your tarot readings. 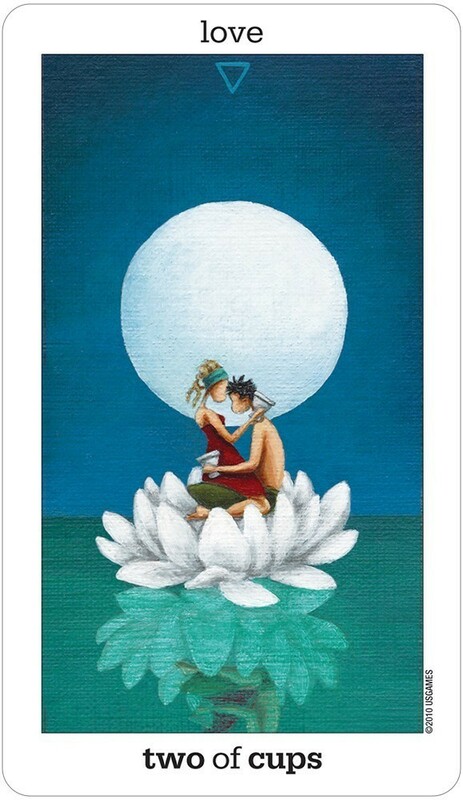 Decort describes the deck this way: "The Sun And Moon Tarot considers universal archetypes and cultural symbols, and also incorporates the artist's own personal symbols." 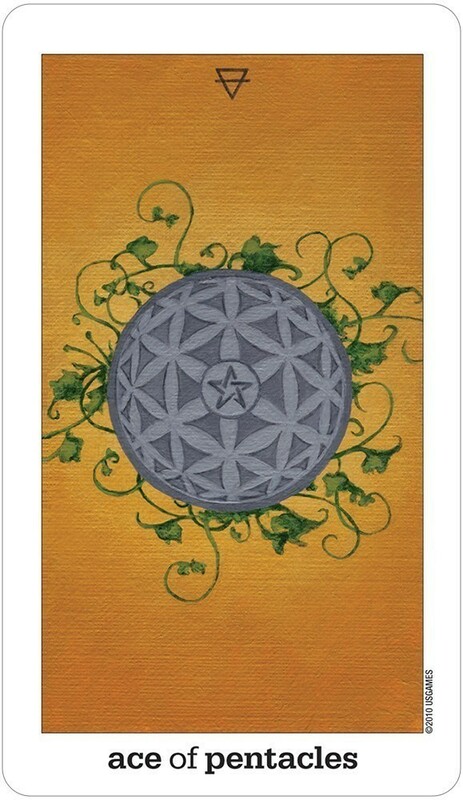 Based on the Thoth deck, it stays true to the titles that Aleister Crowley used (ex: 7 of Pentacles - Failure; Art - Temperance; Princes and Princes rather than Knights and Pages). I've always been somewhat intimidated by the Thoth deck but Decort has taken that influence and infused it with an almost playful, childlike essence. 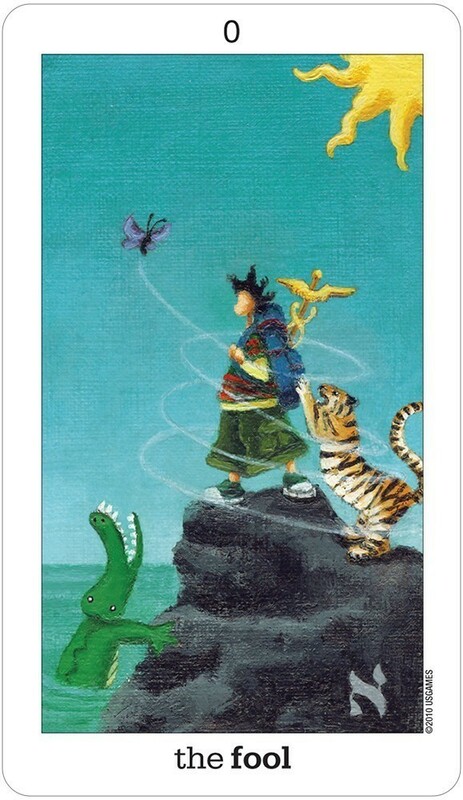 This could be because she has a background as an illustrator for children's books or perhaps she simply wanted to deliver the wisdom of the Thoth deck in a more whimsical and accessible manner. The result is an inviting, fun deck that never loses its Thoth roots. This is a well-made deck on sturdy card stock with a somewhat matte finish. It felt great in my hands, shuffled well and seemed built to last. This is very important to me as I tend to be hard on my decks through constant use. 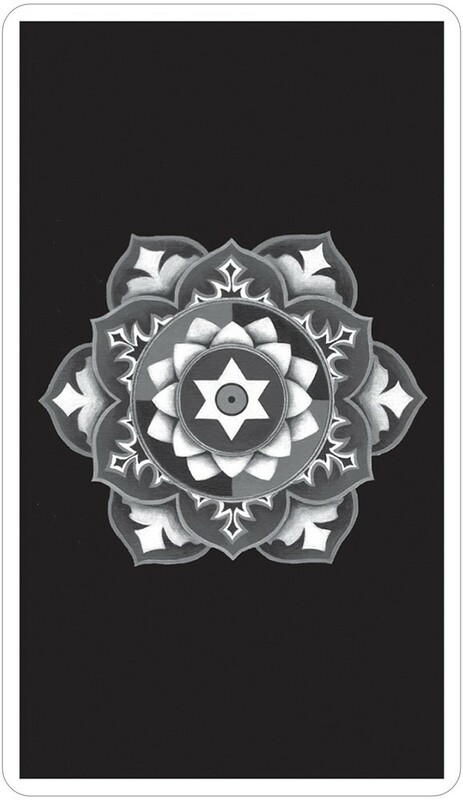 The back of the deck is a gorgeous black and white mandala - and it's reversible, another small detail that I like. Each image is framed by white borders with titles (in English) and numbers clearly printed. Colors are bold yet muted. I especially liked the choices for the Minors suits - neutral, earthy tones for Earth; dark grey, burnt sienna and orange flames for Fire; rich midnight blue for Water; and light sky blue for Air. These color schemes make sense and allow the reader to instantly know which suit they are working with before they even glance at the title. 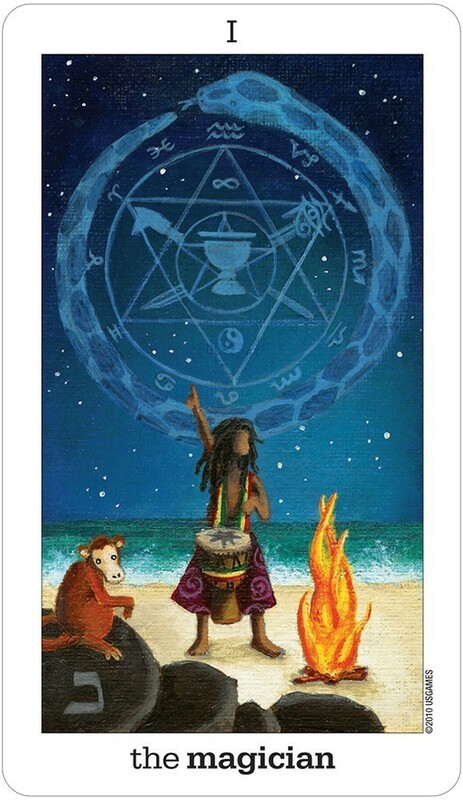 There are strong Kabbalah and alchemy influences throughout the deck - each Major has a Hebrew letter and the elemental symbols appear on every minor. Yogic images are scattered about - fro the OM symbol in the Hermit to the dancing Shiva as the Universe (World)! The Major Arcana is especially rich with symbols - the yin and yang in the Temperance and the Phoenix in the Death card convey the meanings clearly. Astrological symbols are featured throughout the Majors - for example, the Cancer symbol on the chest of the driver in The Chariot or the ram's heads and lamb (Aries) in the Emperor. One of the things I liked the best about this deck was the multicultural imagery. Rather than "standard" RWS people, there are all races represented here - black, white, dark haired, redheads and more. 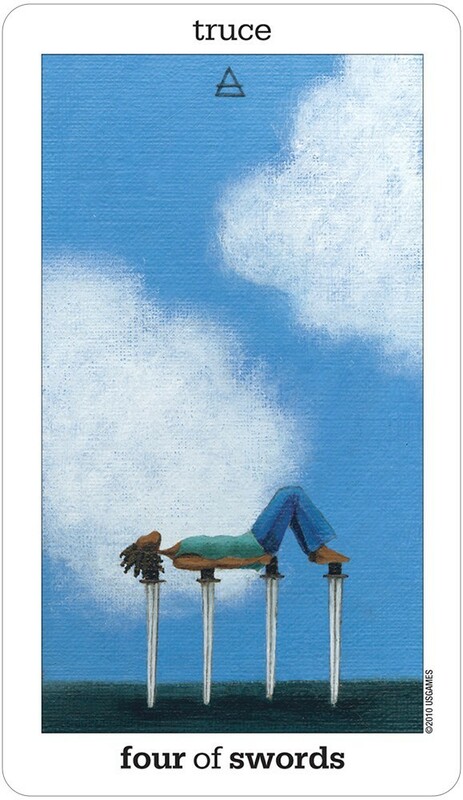 This gives the deck a "modern" appeal and I happen to like that as my own personal life is diverse - so seeing this detail made me feel more connected to the deck. I'm giving this deck two Swords up. It is a unique and interesting deck for any tarot lover's collection.